Our 3-way push button light switch will operate one fixture from two stations (such as both ends of a hall). Based on early twentieth century models, it features white mother-of-pearl buttons and makes a resounding "click" when pressed. 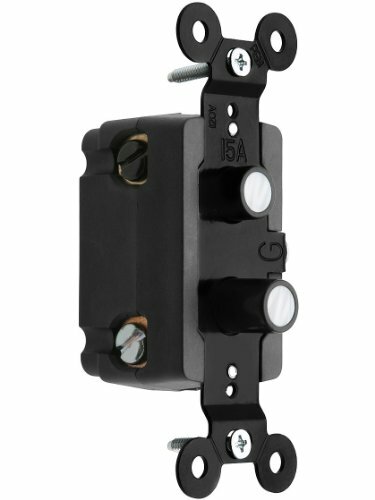 All of our switches are built to modern safety standards (UL and CUL listed), and suitable for restoration or new construction alike. Switch case dimensions: 1 1/4" W x 2 7/16" H x 1 5/16" D. Button diameter: 15/32". Rated for 120V - 15 amps - 60 Hz. This switch is side wired with a grounding screw. 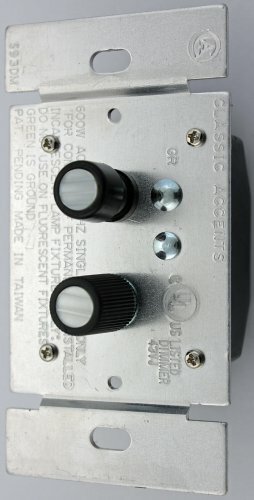 Our three way switch is U.L. Listed. 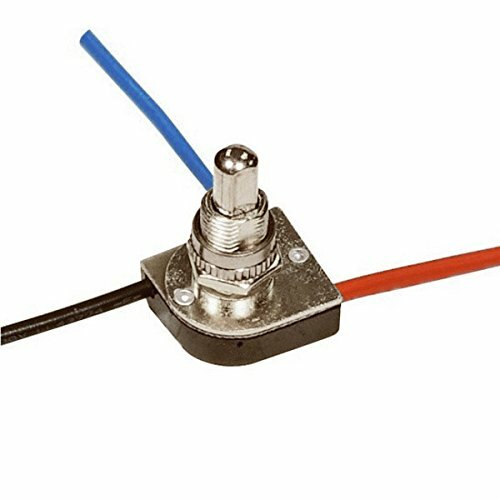 These switches are built to exceed all standard residential electrical specifications and codes. Use the HD3 for two station operation (such as both ends of a hall). 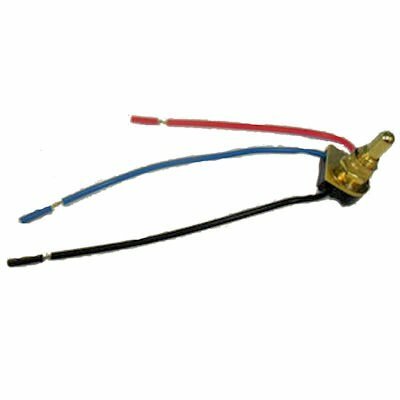 Each Push Button Switch has been designed to work with existing and new wiring. Push Button Switches were used in a majority of American homes in the first half of the century and have been duplicated right down to the synthetic mother of pearl inlays. 120 Volts - 15 Amps - 60Hz. All our switches are replicas of the push button switches that were used in homes around the United States from the turn of the century to the 1950's. 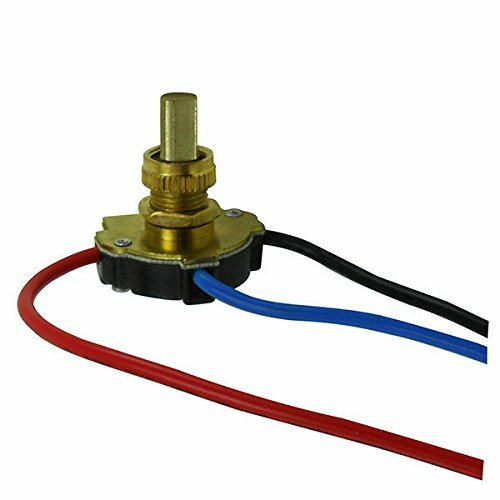 They are built to the specifications of modern electrical code and used for replacing your old push button switches and also great for new construction. They add an unique and classic element to any room. DIMMERS AS IS CAN NOT BE INSTALLED SIDE BY SIDE IN SWITCH BOX. U.L. Listed Incandescent Light Dimmer for Permanent Fixtures. (DO NOT USE ON FLUORESCENT FIXTURES OR FANS.) The modern convenience of a dimmer switch in the Classic styling of Push Button design. The external parts of the Push Button Dimmer are almost indistinguishable from the standard Push Button Switch. The top button pushes in and serves as an on-off function. The bottom button rotates to increase or decrease intensity. 600 Watts - 120 Volt - Three Way Single Gang. 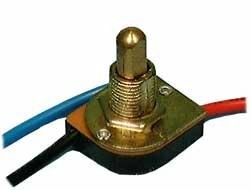 All our switches are replicas of the push button switches that were used in homes around the United States from the turn of the century to the 1950's. 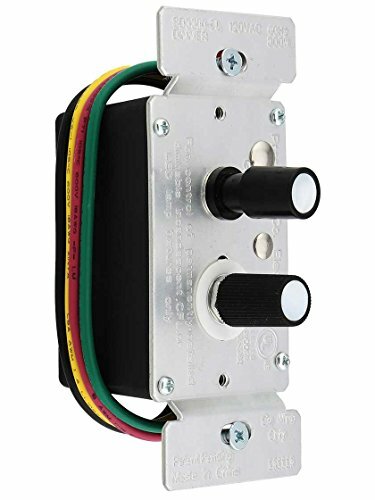 They are built to the specifications of modern electrical code and used for replacing your old push button switches and also great for new construction. They add an unique and classic element to any room. 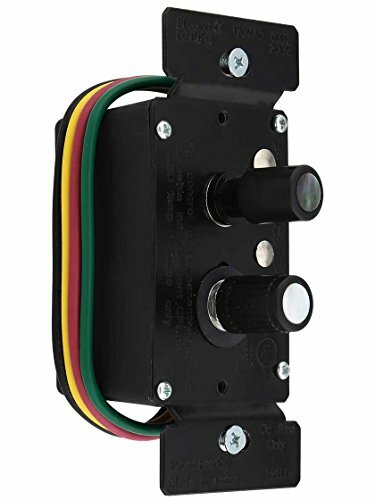 NOTE: When using a dimmer within a 3-way or 4-way circuit only one switch can be a dimmer, the other 3 way switch needs to be a mechanical switch (HD3).